In March, GM announced that the Chevy Bolt EV entered pre-production on the Orion Assembly line. The automaker has since been running tests to tune the production process of the company’s first long-range all-electric vehicle and now we learn that GM plans to start regular production of the 2017 Bolt in October 2016 for deliveries later this year. The news matches GM’s previously announced timeline of deliveries in ‘late 2016’. 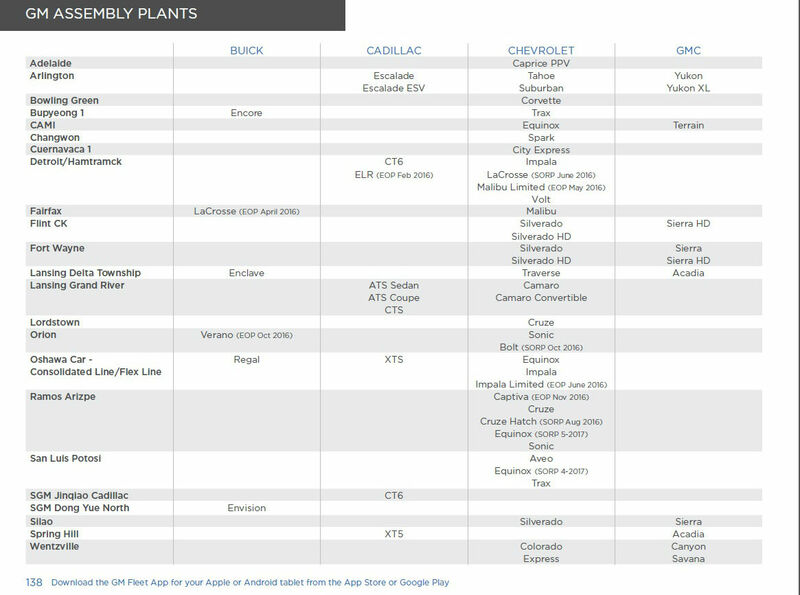 The more precise timeline for the start of production in “October 2016” comes from the company’s assembly plant lineup which lists production by car models at each of GM’s plants.